WEST HILLS, Calif., February 24, 2017 (BUSINESS WIRE)–Source Photonics, a leading provider of optical transceivers for data center and broadband access connectivity, reached an operational milestone in December 2016 expanding to greater than ten thousand units per month capacity for 100G QSFP28 LR4 transceivers. 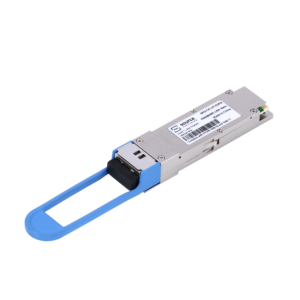 Source Photonics began shipping the 100G QSFP28 LR4 in 2015 after completion of a targeted sampling and qualification program. Subsequent investments of over $30 million in both captive indium-phosphide (InP) chip fab expansion and a captive optical subassembly (OSA) facility with high precision die attach and alignment capabilities have allowed the company to ramp monthly capacity from one thousand modules to over ten thousand modules in just 12 months. The expansion of Source Photonics’ 100G production line follows the accomplished ramp of its 40G QSFP+ LR4 single mode platform to support the growing demand for 40Gb connectivity in both North American and Asian cloud data center markets. While North American demand is shifting rapidly from 10G and 40G to 100G, cloud operators and service providers in Asia are leveraging the realized economies of scale at 40Gb/s and driving increased demand of 40G transceivers. Source Photonics is well positioned to grow its share of the market by exploiting a captive InP laser chip fab and shared OSA manufacturing assets with the 100G line to expand its 40G production capability. Source will exhibit its full portfolio of 100G products and will demonstrate its next generation technologies from its broadening portfolio of higher speed products at OFC from March 21-23, at the Los Angeles Convention Center, booth number 3011. For further information or to schedule an informational session, please visit our website at www.sourcephotonics.com.